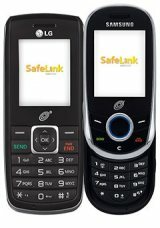 Free Prepaid Cell Phone - Do You Qualify For SafeLink?! Are you looking for a free prepaid cell phone? Do you qualify as having low income and are looking for a FREE cell phone including airtime and text messaging? SafeLink Wireless was one of the first companies to offer Lifeline service, which is a government sponsored program. It provides free cellular phones and service to "income eligible" households. There are no contracts, no fees, no monthly charges; there really are no strings attached at all! You simply have to legitimately qualify. Do I qualify for SafeLink? You're already on State or Federal assistance. For example, Federal Public Housing Assistance, food stamps, or Medicaid. Your total household income is below 135% of State and/or Federal government guidelines. No one in your household already receives Lifeline service through another wireless carrier (this includes landline programs as well). Be mindful that the government has started cracking down on abuse and fraud, so making sure all of your information on the application is 100% valid will help to improve your chances experiencing a smooth application process. You must have a valid USPS (United States Postal Service) address. In other words, you must live somewhere where you can receive mail, as they will send the phone to that address. Also note that P.O. boxes are not allowed. What other services are included? How many free minutes and text messages do I get each month? Option 1: 350 minutes - no rollover (unless you purchase additional minutes), unlimited text messages. Option 2: 125 minutes - with rollover, unlimited text messages. Option 3: 68 minutes - with rollover, unlimited text messages, and includes international long distance to over 100 locations. "Prepaid" will be displayed across your screen. Go to "Redeem Airtime" or "Add Airtime". If your screen displays a message, go down and press OK until you see “Card #” or “Airtime PIN”. Enter 555 and press OK. If you are prompted for a promo code, press NO. What about toll free numbers? Toll free calls are actually not included, and are charged at the normal per minute rate, including calls to Lifeline and TracFone customer service. So if you're going to call their customer service, if possible, you should try to call from another phone or landline. Can I trust this company? You may be wondering whether the SafeLink free prepaid cell phone service is good, or just some fly-by-night operation. Or, will you have coverage? Will it be reliable? The short answer is yes! TracFone is the prepaid wireless provider behind SafeLink. In fact, TracFone is one of the largest prepaid providers in the U.S., at greater than 10 million customers. They also offer the Straight Talk service available exclusively in Walmart stores. The parent company also owns Net10, another prepaid provider. To learn more, visit the TracFone Prepaid Cellular section. The bottom line is that you can have confidence that you're getting a quality service, and will be around for the foreseeable future. If I run out of minutes, can I add more? Yes! Because it's a service offered by TracFone, you can actually use any of their wireless topup products. Just visit any store that offers TracFone, and pick up a replenishment card. Also, after finishing with the SafeLink program, they let you keep the phone, so you can go ahead and activate it on regular TracFone service. Officially, no, you cannot use your own TracFone or unlocked GSM phone. You must use a phone provided by SafeLink Wireless as part of the free prepaid cell phone program. However, unofficially, there have been plenty of reports that they'll transfer your account to another phone without much hassle. That said, if this aspect is important to you, I would call them first before assuming that it will be possible. NEXT - Free Prepaid Phones: How is this program possible?